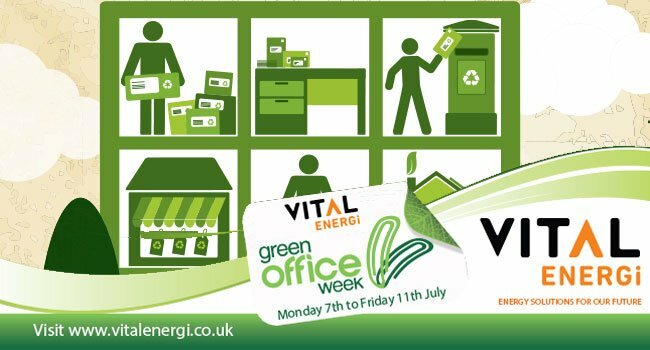 Vital Energi will be taking part in their first ever Green Week, which is designed to make staff more aware of the effects of their behaviour on the environment and to reduce their energy usage and CO₂ emissions. As an organisation which helps businesses to reduce their energy usage and generate greener energy, Vital Energi wanted to organise a weeklong series of events to show just how much of an impact a workforce can have by making small changes to their behaviour. Meat Free Monday - We’re encouraging staff to bring in a lunch that contains no meat. Did you know 1kg of beef creates the same CO₂ emissions as 6 litres of petrol? Turn Off Tuesday - Vital Energi are having a big push to ensure all unused equipment is turned off at the end of the day and monitors are turned off when staff are away from their desks for more than 15 minutes. Waste Not Wednesday - We want staff to break out the baking mitts and use ingredients which might normally be thrown away to make “green themed” treats which will be sold. We’ll also be raising awareness of sustainable products such as fair trade or rainforest alliance and free range. All money raised will be donated to Christies. Travel Thursday - Staff are encouraged to car share, cycle or walk to work if possible and we’ll also reveal some interesting tips about driving more efficiently, which can save money in fuel and repairs. Innovation Friday - We’ll be picking our staff’s brains for ways that the office can be made greener and then implementing the best ones.